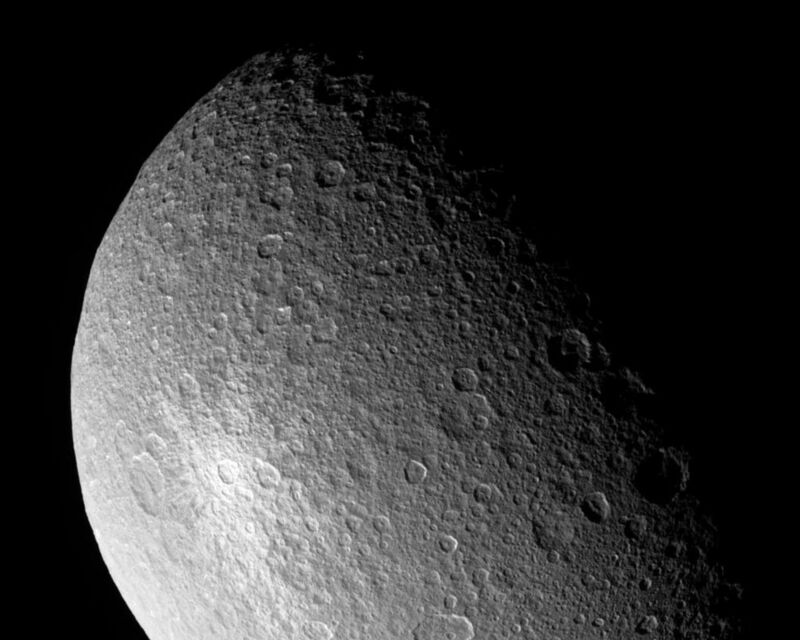 Looking closely at Saturn's moon Rhea during a somewhat distant flyby, Cassini provides this view of what appears to be a bright, rayed and therefore relatively young crater. This crater was also observed by Cassini at much lower resolution in the fall of 2004 and in spring of 2005. Rhea is 1,528 kilometers (949 miles) across. For comparison, viewing the same crater near the terminator (the line between day and night) would highlight the crater's topography (vertical relief), compared to its brightness, which is highlighted in this view where the Sun is at a higher angle. North on Rhea is up and rotated about 15 degrees to the left. 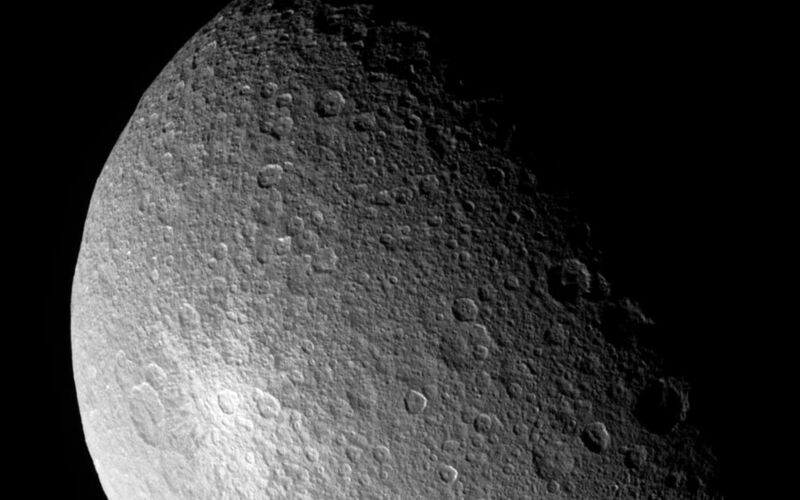 This view shows principally the leading hemisphere on Rhea. 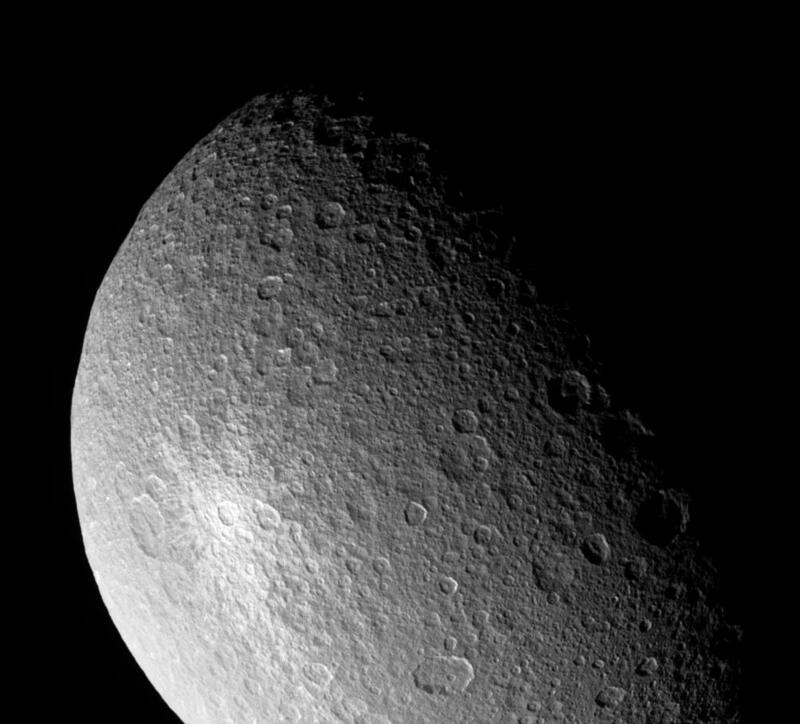 The image was taken in visible light with the Cassini spacecraft narrow-angle camera on April 14, 2005, at a distance of approximately 247,000 kilometers (153,000 miles) from Rhea and at a Sun-Rhea-spacecraft, or phase angle of 70 degrees. 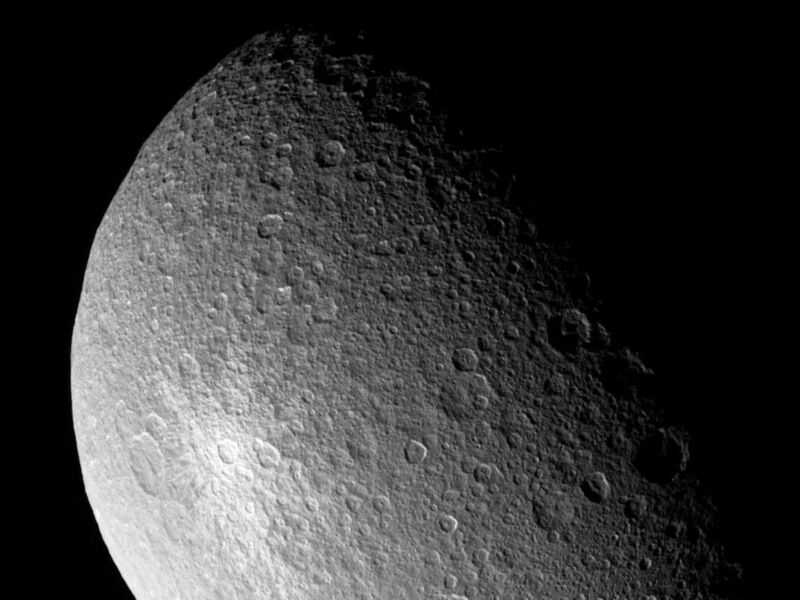 Resolution in the image is 1 kilometer (0.6 mile) per pixel.